I've recommended him all over town. He was always coming up with better ways to make it work for us. 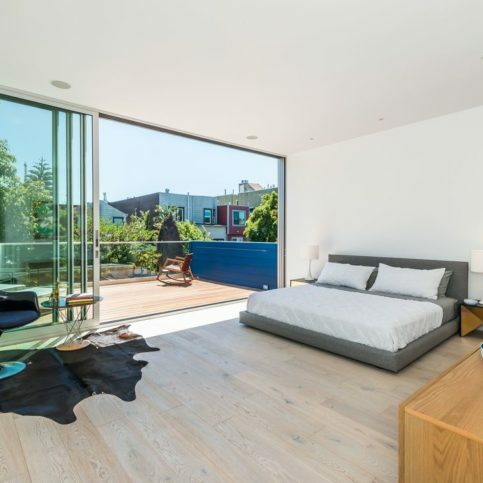 It was one of these projects we shared with the neighbor and there were a lot of common features that the neighbor didn't want, so he was able to work really well on making it custom. He is reliable, trustworthy, hardworking, I mean he shows up everyday. He is a really good guy, it did take a while, but he was nice so it wasn't that bad at all. Value, he was really good at the cost expectation and if there were any additional cost, he worked with us to make it more affordable. Desi was extremely responsive, congenial, and easy to work with. I would say the personal relationship stands out. It gave me confidence that he was listening to our concerns. They did fine work, and I would highly recommend them. 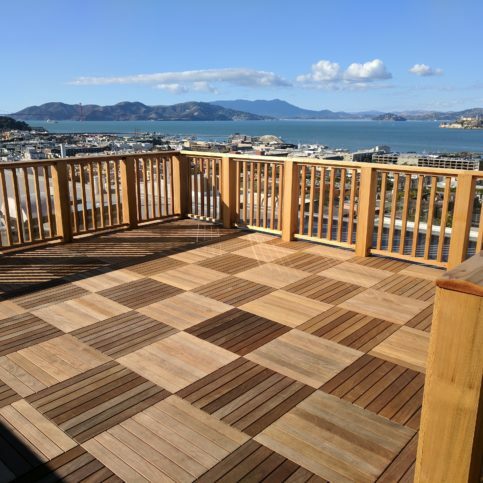 McGibbon Construction, Inc. designs and builds wood and composite decks for residential clients throughout San Francisco and Marin County. 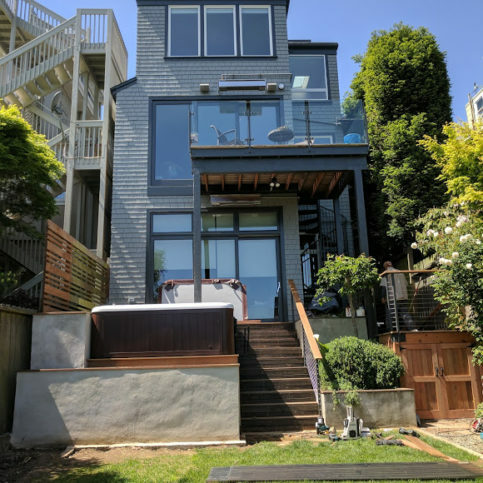 The company has the training and experience to work on all types of deck projects (including specialized styles like platform, hillside and cantilevered), and it’s also qualified to offer general construction services like room additions and extensions, framing, and exterior waterproofing. DIAMOND CERTIFIED RESEARCHED CAPABILITIES ON McGibbon Construction, Inc.
Company Name: McGibbon Construction, Inc.
DIAMOND CERTIFIED RESEARCHED ARTICLES ON McGibbon Construction, Inc.
A recent exterior project by McGibbon Construction, Inc.
McGibbon Construction has been designing and building wood and composite decks for residential clients in San Francisco and Marin County since 2007. 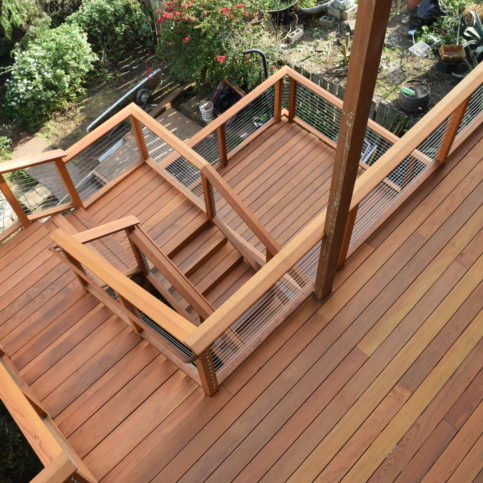 The company has the in-house capabilities to work on all types of deck projects (including specialized styles like hillside and cantilevered), and it’s also qualified to provide general construction services like framing, room additions and extensions, and exterior waterproofing. 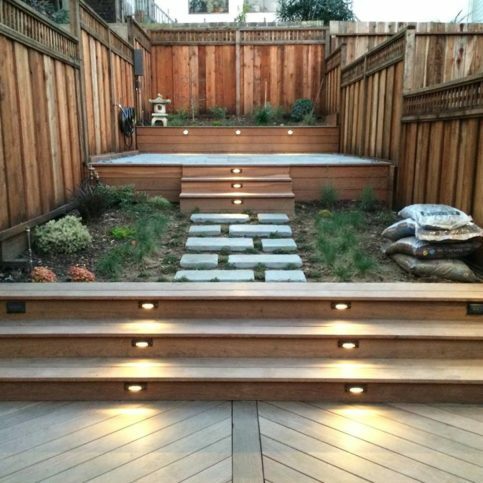 Don’t underestimate the complexity of taking on a DIY deck building project. 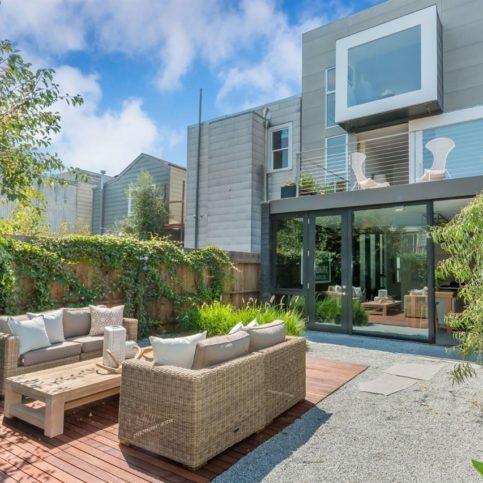 With the advent of online tutorials and resources, many weekend warriors and DIYers have taken to tackling home improvement projects to update the look and function of their homes. 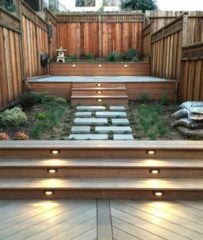 However, while some DIY projects are a perfect fit for novices, some projects should only be done by professionals, like deck building. 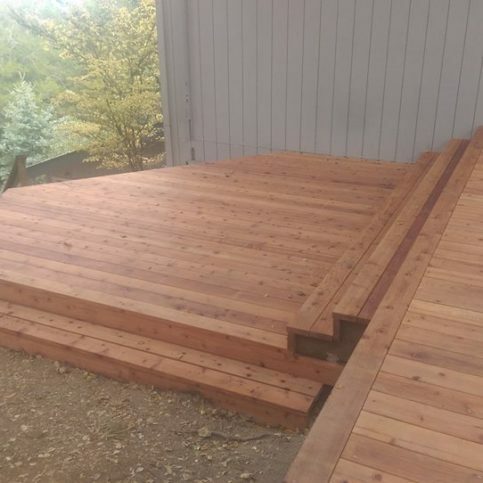 Q: Can you help me choose the size and style of my deck? A: Yes. 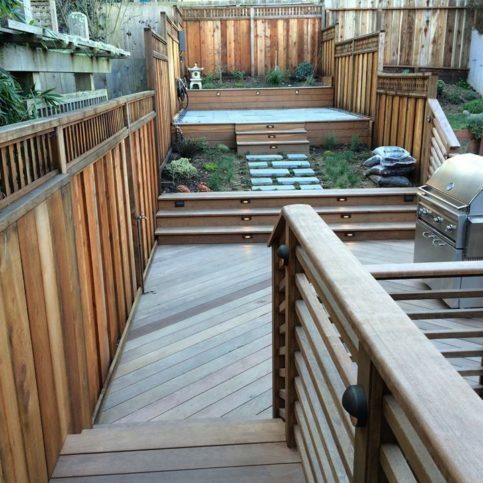 I’ll meet with you at your property and go over all the details of your deck, including what size will work best for your area. A: Yes, I’ll take care of all permit acquisitions. 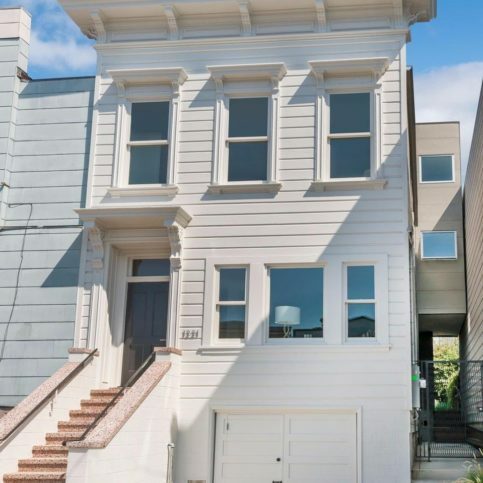 You need a permit if your deck is 30 inches or more off the ground. Q: Do I need to hire an architect and engineer? 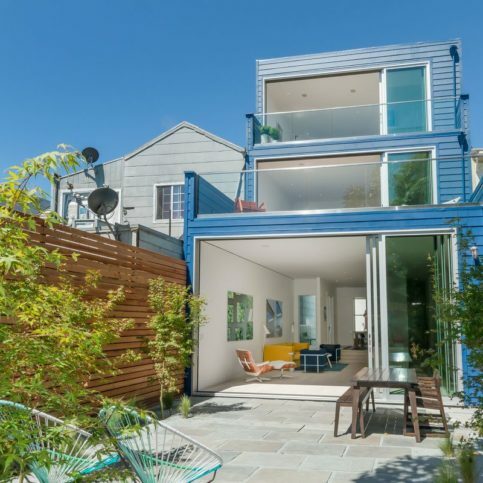 A: If you’re tearing down your existing deck or installing a new deck, you’ll need architectural and engineering drawings. I can provide a list of architects and engineers I’ve worked with in the past. 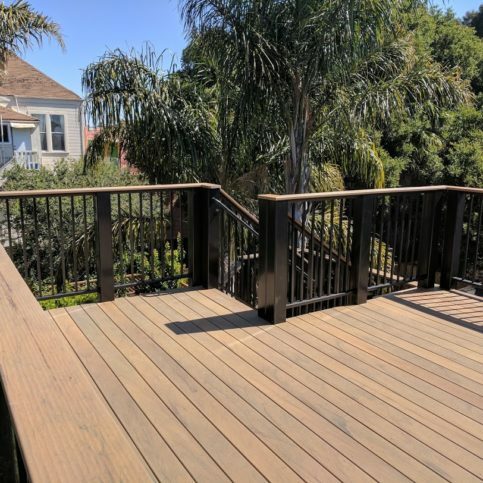 Q: Does my deck need regular maintenance? A: Yes. 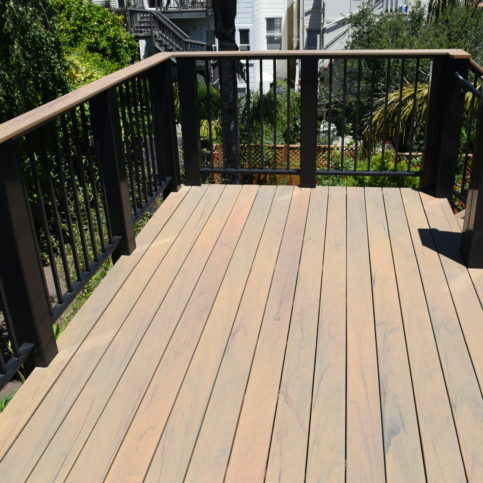 Even if it’s made of outdoor-grade materials and lumber, your deck still needs regular maintenance. It’s exposed to the elements every day, and that can cause problems, especially if it’s cantilevered or doesn’t have posts underneath. I recommend scheduling regular professional inspections, applying protective coatings and following manufacturer recommendations for maintenance. SELECTED PHOTOS FROM McGibbon Construction, Inc.
Desi McGibbon is owner of McGibbon Construction, a Diamond Certified company. 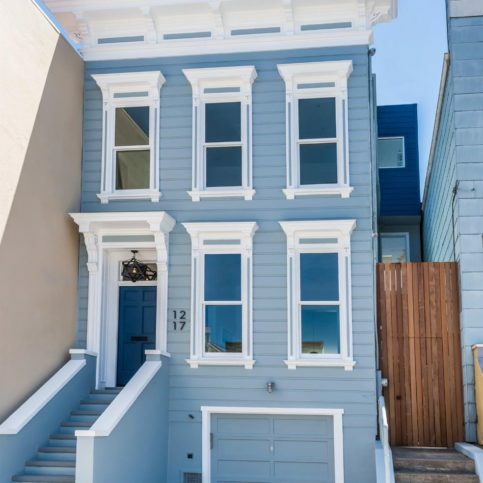 He can be reached at (415) 742 – 1938 or by email. A: I’m a night owl by nature, but by force of life I have to be an early bird. A: I like the San Francisco 49ers and Liverpool F.C. A: Nepal, because my wife is from there and we’ve been meaning to go back and visit her family. A: I have three, actually: Il Davide in San Rafael, R’Noh Thai in Greenbrae, and Tommy’s Asian Bistro and Grill in San Rafael. A: Bikes. I have a few and I’m currently in the market for another. 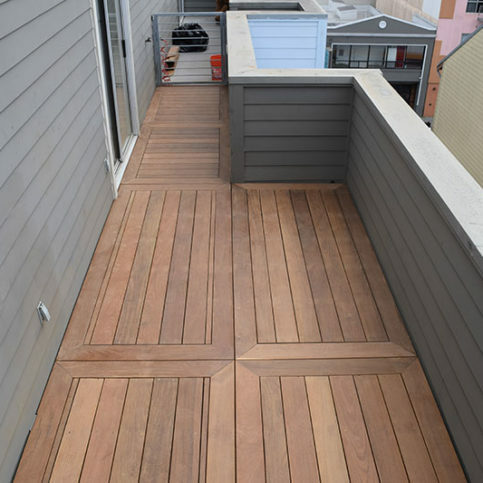 SAN RAFAEL — When building a deck on your property, it’s best to have all the details sorted out before the work begins. 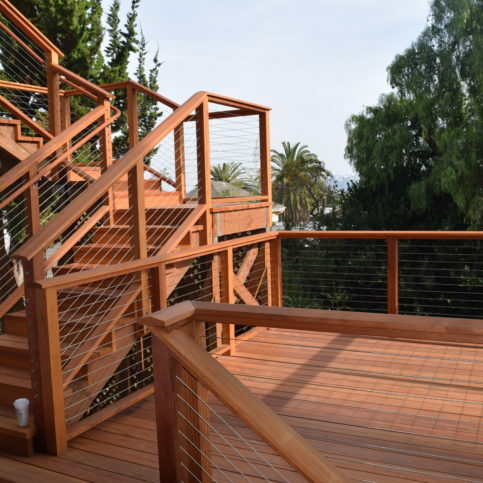 Homeowners often give a lot of thought to the kind of decking material they’re going to use while overlooking seemingly minor details like the railing. 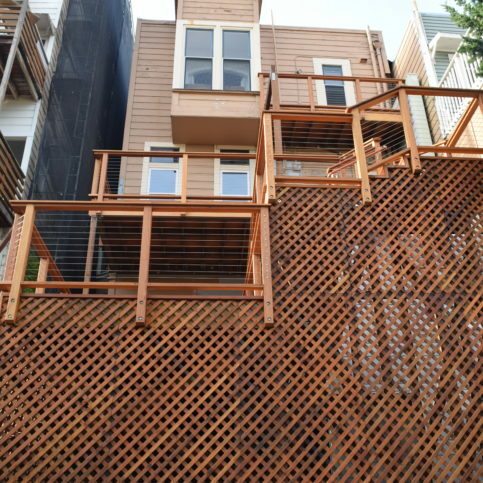 However, since the railing needs to match the deck boards, neglecting to consider it ahead of time can lead to project delays. 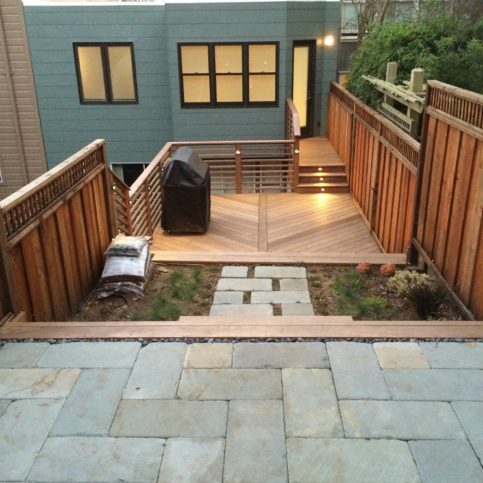 That’s why it’s important to look at the big picture when planning for a new deck. Looking at the big picture can also help you avoid costly budget oversights with your project. 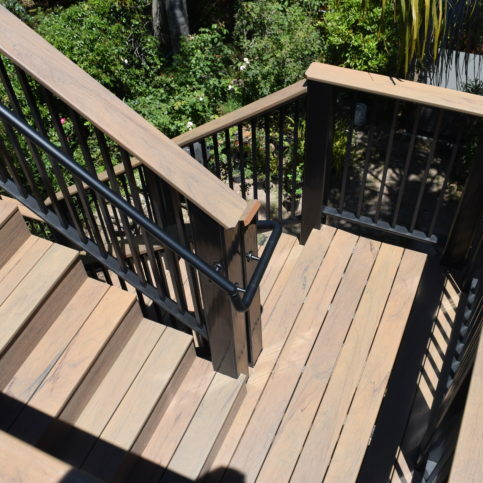 For example, many of today’s composite decking products are available at a price comparable to entry-level redwood. 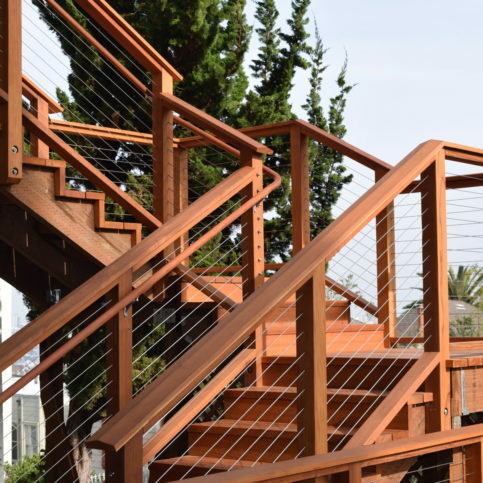 However, while the deck boards may be comparably priced, composite railings are often as much as two to three times more expensive than standard redwood railings. 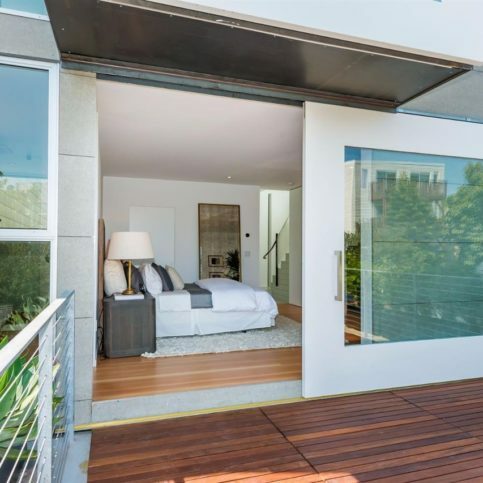 If you’ve already committed to installing a composite deck, you may be disappointed to find you have to pay twice as much for the railing, so be sure to price all materials before making your final choice. 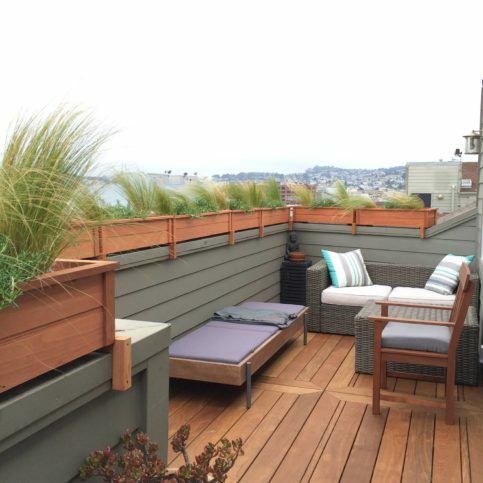 SAN RAFAEL — Host, Sarah Rutan: When designing a new deck, the finer details can have a surprisingly substantial impact. Today we’re in San Rafael with Diamond Certified Expert Contributor Desi McGibbon of McGibbon Construction to learn more. 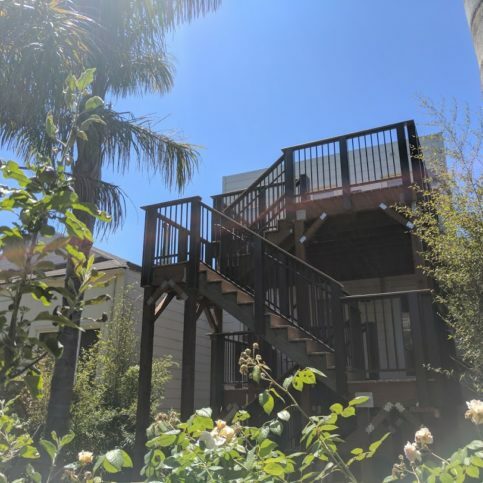 Diamond Certified Expert Contributor, Desi McGibbon: So, an expert tip that I’d like to share with you from McGibbon Construction is to advise the customer to see the deck project that they’re planning through to the very end before the project actually begins. What I mean when I say that is, a lot of people give a lot of thought to the actual treads that they’re going to choose – and typically, like, redwood or cedar – or if they’re using a composite, like Trex or something like that. 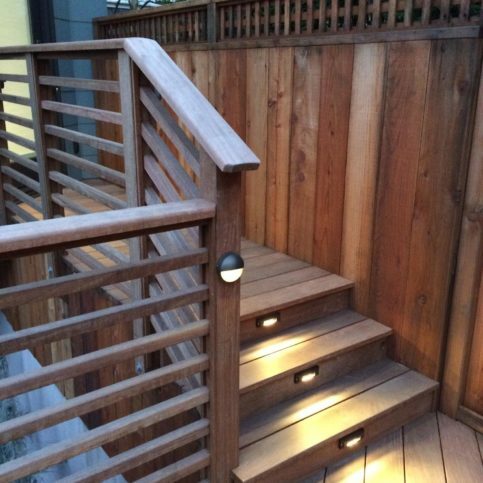 They spend a lot of time working that out, but a lot of times, they overlook the fact that their railing is going to have to sort of match the decking treads. 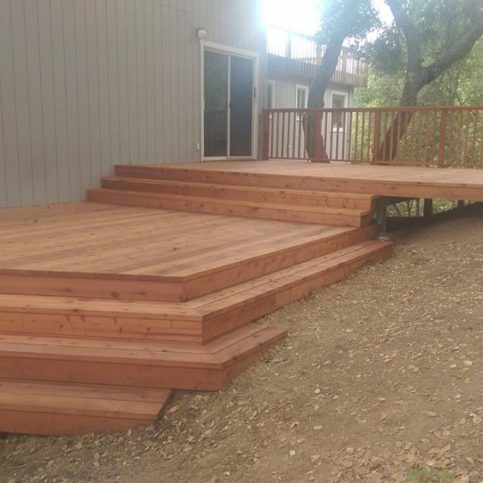 And what I find as we move forward in more deck construction is that customers don’t figure in the cost association with using a composite decking because the composite companies are trying to get their treads, their deck boards, down to match the pricing of an entry-level redwood. When they do that and they market that, people believe they can also do the railing. 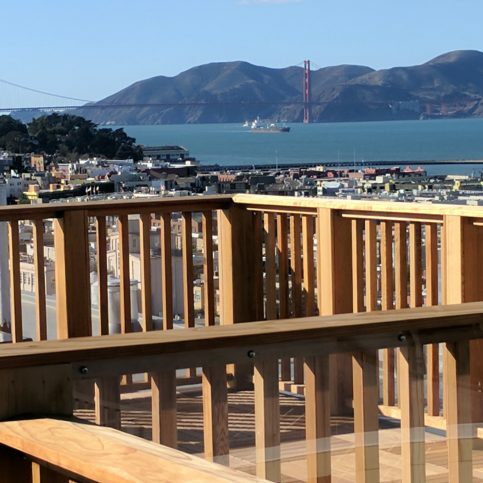 And they overlook the fact that the railing could be up two to three times the price of a standard redwood, really. And then when they realize that, it creates a little bit of disappointment. My tip is really just to help you eradicate that disappointment. Diamond Certified RATINGS ON McGibbon Construction, Inc.
McGibbon Construction, Inc. : Average 9.5 out of 10 based on 19 unique customer surveys of customer satisfaction. They did a flawless, professional, and a fantastic job. They also cleaned up and you would never know construction was being done. I would say the quality of their work stands out. Desi has compassion, is courteous, and timely. Desi, the main guy is knowledgeable. The time factor, all construction takes a long time because of unforeseen things, he took them all in stride. That told me that they know their stuff. They were good, very high quality. All wonderful workers and Desi is really competent. He is also efficient, friendly, and kind. I think the workers were conscientious. They were all pretty good. Desi is really knowledgeable and worked around a lot of requests. They did a very good job, and they know what they're doing. I would say the personal service stands out for me. They were great. They were very responsive, helpful, and on time. Desi was very helpful. He answered all of our questions, and let us know what was going on during the project. The pricing was fair and competitive. They did a good job, and they were never over budget. I would say, they were timely, and always answered our questions and gave us good advice. We couldn't get the whole deck done, so they helped us decide what should be done now. He is very professional and responsible. He really completed the job and there are a lot of contractors who don't. They did a very good job, and they were very forthright. They finished the job on time and on budget, and everything is working great. They filled me in every day, as to what was going on. Desi is great, he is very friendly and efficient. I like the work he did, our patio is beautiful. They are honest, easy to work with and very thoughtful. I would say just easy to work with, Desi was easy to work with. They did a great job, and they were very professional. I would say, the service. Desi met us out at the property, and he was very informative. They were good. Desi is a great, overall good person. Just the attitude Desi had, that anything was really possible. I have recommended them to others. He's slightly hard to get a hold of, but it's well worth it when you do. It is an excellent value for the money. I would say their attention to detail.